The silent one who must find her voice – set in London and Edwardian England, featuring Royal scandals and Beatrix Potter in the beautiful Lake District. A hundred years earlier, headstrong and independent Flora MacNichol vows she will never marry. 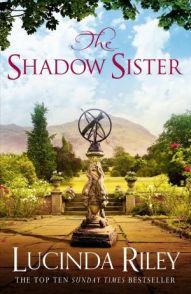 She is happy and secure in her home in the Lake District, living close to her idol, Beatrix Potter, when machinations outside her control lead her to London, and the home of one of Edwardian society’s most notorious players, Alice Keppel. Flora is pulled between passionate love and duty to her family, but finds herself a pawn in a game – the rules of which are only known to others, until a meeting with a mysterious gentleman unveils the answers that Flora has been searching for her whole life . . .